Champions 6 times - 1972, '73, '81, '83, '87, '88. Dave also coached provincial teams at the junior (1978-79) and juvenile (1985-1988) levels. 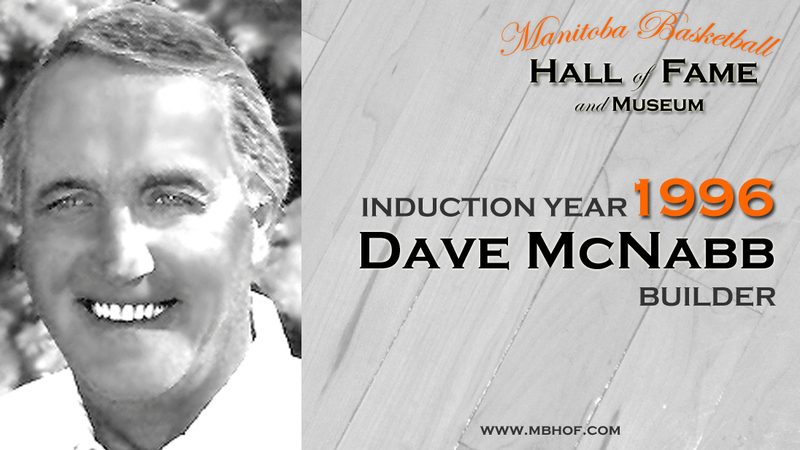 In addition to coaching, Dave devoted a great deal of time to the development of basketball. Her served as Vice-President and President of the Manitoba Basketball Coaches' Association. While Vice-President of Player Development for Basketball Manitoba, he developed a very successful Inter-provincial Program. From 1979-1992, he was the Co-Chair of the Fort Garry Invitational Tournament. Throughout his coaching career, Dave was a very effective clinician.